Providing services to a growing number of people outside of the municipal government as well as developing a building outside of its current offices in City Hall, the Kansas City Credit Union acquired this site as a way of promoting positive development in eastern Jackson County. 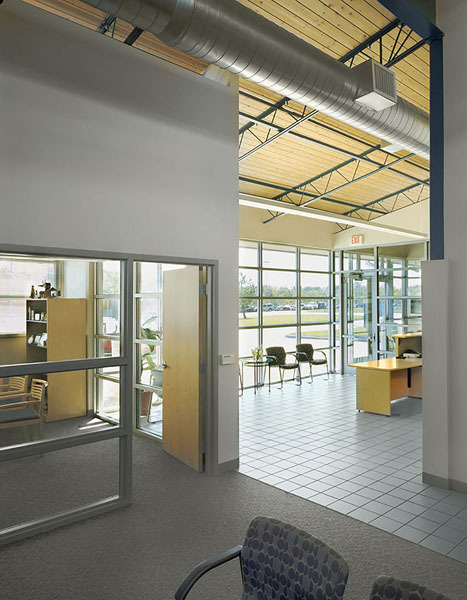 With the need to keep within the $1.3 million project budget for the 5,000 SF program, our design-build team was asked to carry the project forward through construction. Using building technologies familiar to the contractors, a sleek, horizontal building was created with a roof canopy integral to both the drive-up windows and main building, a central office area that is lit with clerestory windows, and a friendly atmosphere that is created with offices that have lots of glass facing the open office area. 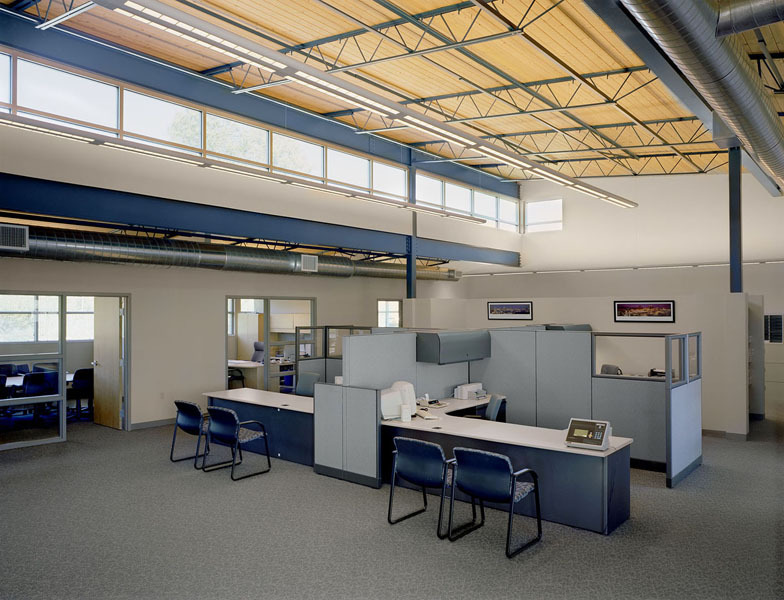 Utilizing some carefully planned sustainable design strategies such as daylighting, the building is extremely energy efficient. 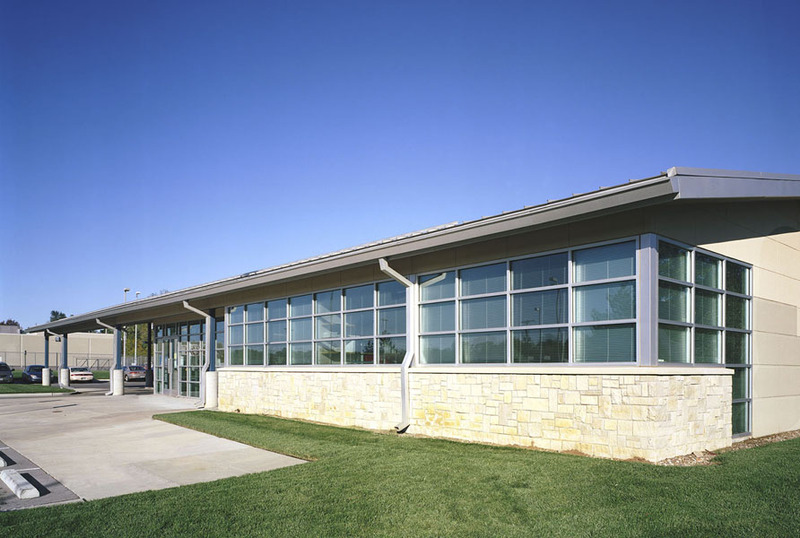 Awarded 2004 Best Design-Build Project for Building Construction under $5 million, Design-Build Institute of America, Mid-America Chapter. 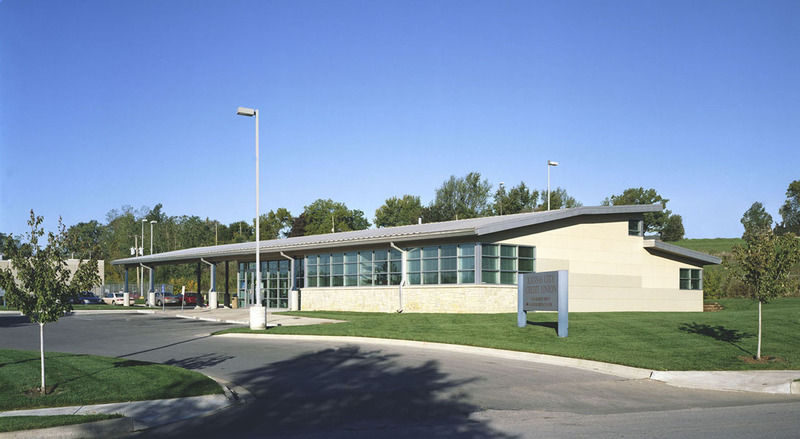 Commissioned by the City Architect’s Office, the Kansas City Credit Union is a successful witness to what can be accomplished with a team oriented cooperative effort between client, contractor, and design professional.